Last Friday, coach Edrick Floreal told his athlete, Keni Harrison, to do something he never told her to do before: lean at the finish line. Surprised, Harrison stopped to ask her coach why before she checked in for the London Diamond League 100m hurdle final. His response: "I changed my mind. You got to lean hard on this one, because it's going to be special." Just a few moments later, Harrison broke the world record in the 100m hurdles with a winning time of 12.20. After blasting from the blocks and aggressively tearing over all ten obstacles, Harrison leaned so hard and so low that she broke Yordanka Donkova's 1988 world record by one hundredth of a second. Floreal was right. It was indeed special. But especially because Harrison willed it to happen after the lowest point in her career. Two weeks earlier, Harrison finished a disappointing sixth in the Olympic Trials final and missed making Team USA by three spots. Her defeat was shocking, considering she ran 12.24 to break the American record just a few weeks earlier at the Prefontaine Classic. 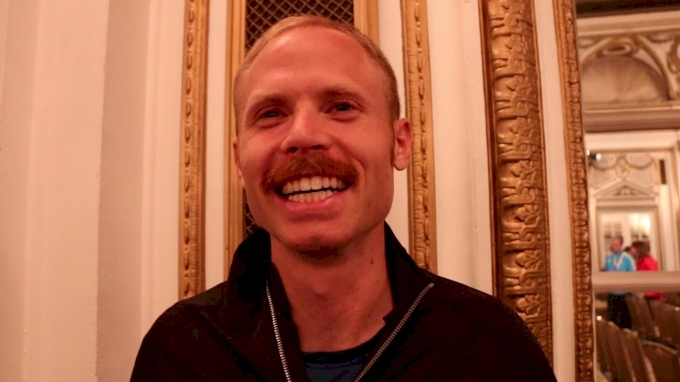 What happened to the American record-holder on the most important day of the season? Simply put, she didn't run to win. "The goal for first round was to send a message; second round, do it again; third round, just close out the show, which means go for the win--and go for the win by a large margin," Floreal said. "Sometime between the first round and the finals, unbeknownst to me, she changed the plan and decided that she was just going to focus on making the team," he said. "Anybody who's been in the sport knows that if you try to get third, you typically finish fifth or sixth. But if you try to win, you may have a bad race, but could get second or third." Harrison watched 2013 world champion Brianna Rollins, Kristi Castlin, and world indoor champion Nia Ali receive the flags awarded to Team USA. Her Olympic dream was gone. Harrison was heartbroken, but Floreal wouldn't let her entertain the idea of disappearing in despair. "I made a decision alongside her, that that was not going to be our legacy," Floreal said. "As a team, we choked. We didn't perform up to our ability. I wanted her to be honest with that process." He used the analogy of an addict attempting to recover: The first step is admitting there's a problem. "I told her, 'You have to tell yourself what you did, and then the next step is to make up for it,'" he said. "When she admitted that, I think she got some resolution in her heart." 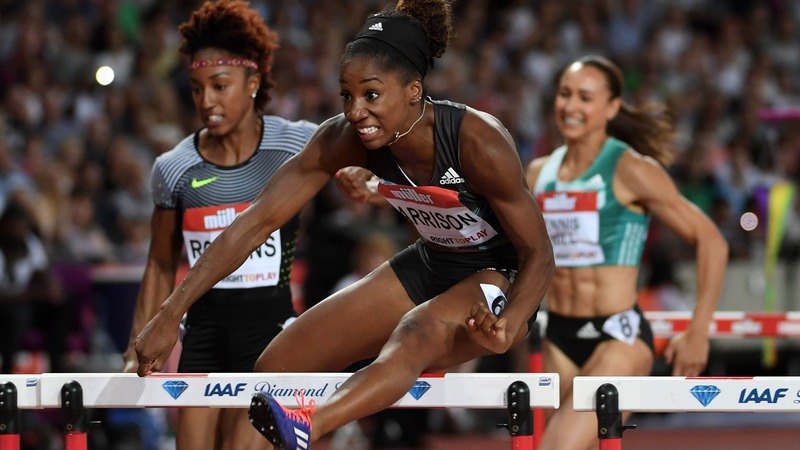 The day after the Trials final, Floreal brought Harrison back to the track, where he made her do her least-favorite workout: 10 hurdles, twice through. "My goal was to not let Keni be one of those people that doesn't bounce back from that [Trials] disappointment, and that's why I drowned her in work," Floreal said. Despite running three rounds and a disappointing final the day prior, Floreal said Harrison had a fantastic workout that day. "That was important to me--that she herself feel that 'I'm not an awful hurdler; I'm just a great hurdler that had a bad day on the worst possible day," he said. Floreal continued to pile on the work with the hope that Harrison would eventually forget the pain of not making the team. Heading into the London Diamond League meeting, Harrison was still recovering from the disappointment. But she and her coach had one goal in mind: "be fierce." In the preliminary round, Harrison clocked 12.40 to win. It was the fastest time she had run since breaking the American record in May. It was also the first sign Harrison was recovering from her Trials heartbreak. "[Getting over the Trials] took all the way until she crossed the line and ran 12.40. Until she crossed the line in the first round, that was first time she smiled," Floreal said. For Floreal, Harrison's warm-up between the preliminary and the final was the indicator that she was about to make a statement. During her warm-ups, he records her touchdown times after each hurdle. Typically, Harrison splits 0.86-0.87 for each touchdown, but on Friday, she was splitting 0.82-0.83 consistently. Floreal even recalled the weather changing just before the gun went off. 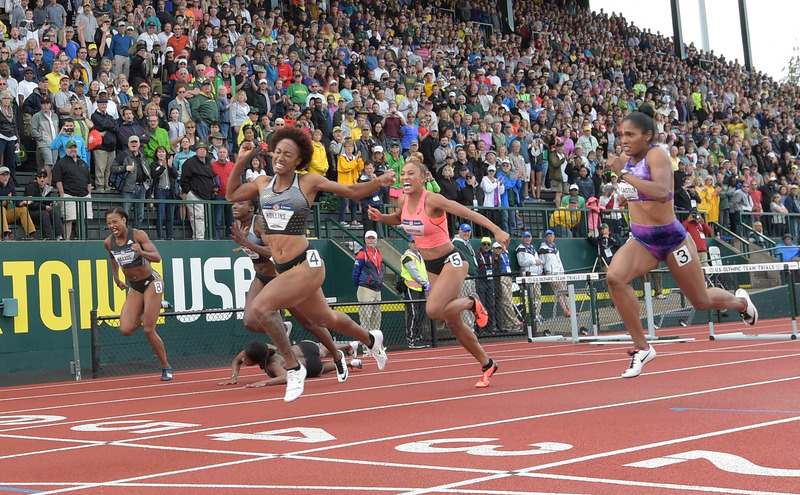 The clouds parted, and the sun came out just before her race--perfect world-record conditions. The American finalists lined up. Ali was in lane five, Harrison in lane six, Rollins in lane seven, and Castlin in lane nine. The gun went off, and Harrison exploded out of the blocks. By the third hurdle, she already had a lead on the field. From that point on, she continued to surge further ahead with each barrier. 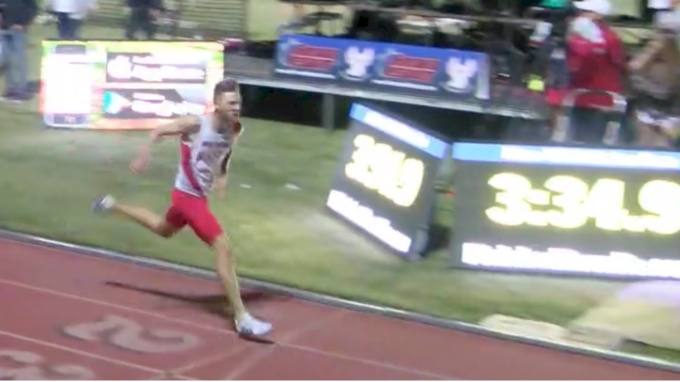 By the final hurdle, Harrison was already 3-4 meters ahead of the field. She closed it out with a deep lean at the finish line to win the race by a huge margin. At first, the clock incorrectly showed Harrison's winning time as 12.57. When she saw it, she casually acknowledged the victory, and turned around. But a minute later, the clock was corrected to display her world-record mark of 12.20. Harrison had leaned so low that she dipped underneath the beam and the clock didn't register her time right away. 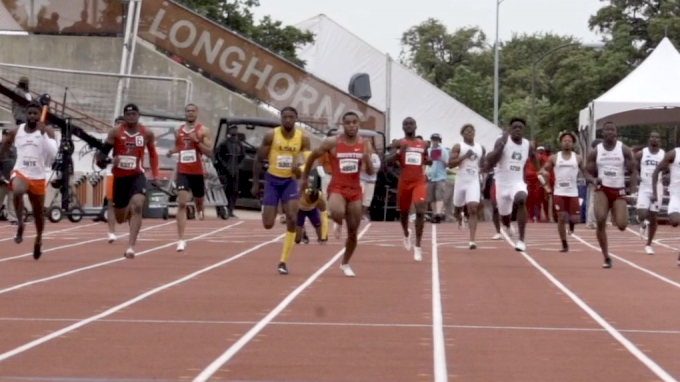 The 12.57 that first appeared on the board belonged to Rollins, the runner-up. 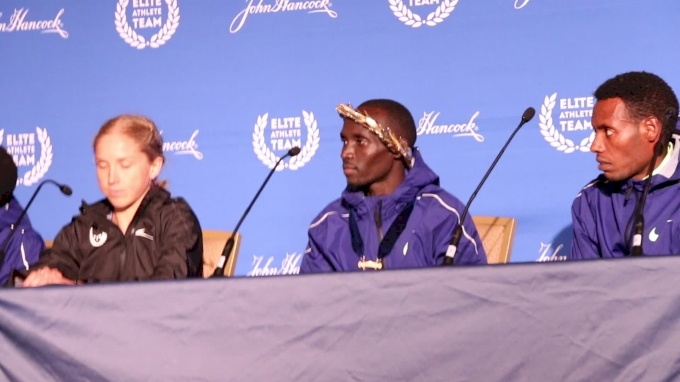 Her competitors noticed the time change first, and excitedly turned Harrison around to see it, which led to one of the best post-race reactions ever. 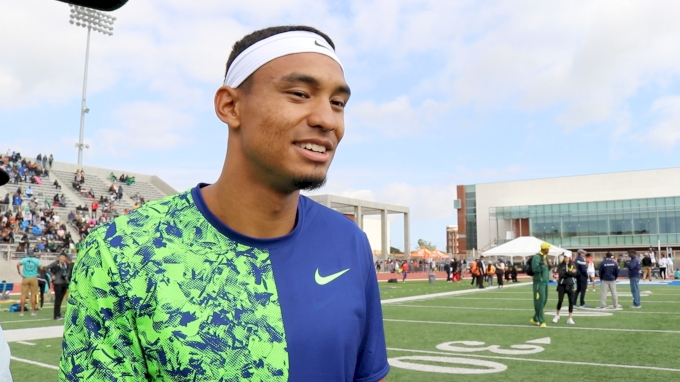 Floreal had his stopwatch on the race and clocked Harrison around 11.90, which made him question the initial time. "I had a sneaking suspicion that she had leaned so hard and so low that she went under the beam and the time that went on the board was Brianna Rollins' time," he said. When the world record was announced, the entire London stadium exploded in excitement right before meet headliner Usain Bolt was supposed to race the 200m. "Right before Usain Bolt ran, they had to calm the crowd down because it was still going; everyone was still yelling and screaming," Floreal said. Crying tears of joy, Harrison rushed over to her coach in the stands and embraced him. "I told you! I told you!" Floreal said while smiling.